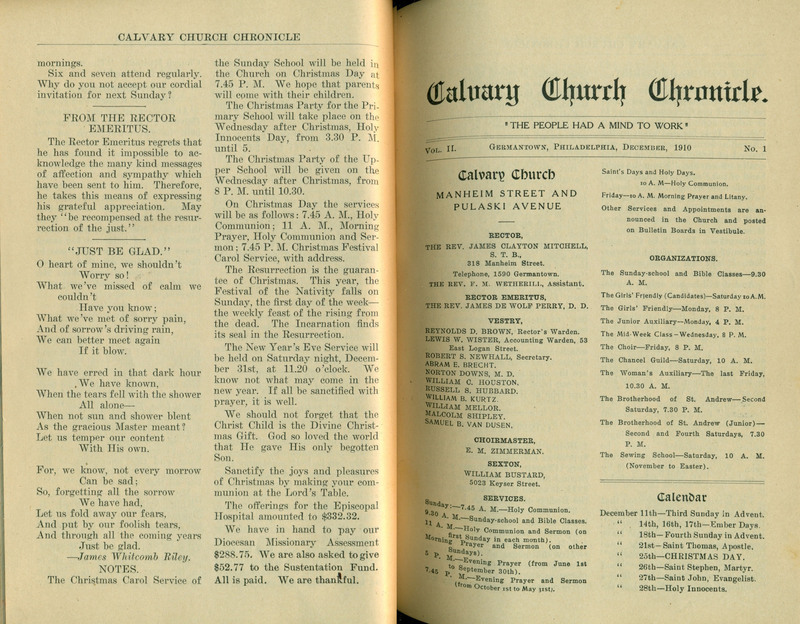 This entry was posted in Calvary Church (Germantown) and tagged Calvary Church (Germantown) Chronicle, Germantown, James Clayton Mitchell, James De Wolf Perry, Northwest Philadelphia on December 22, 2017 by mjk38. 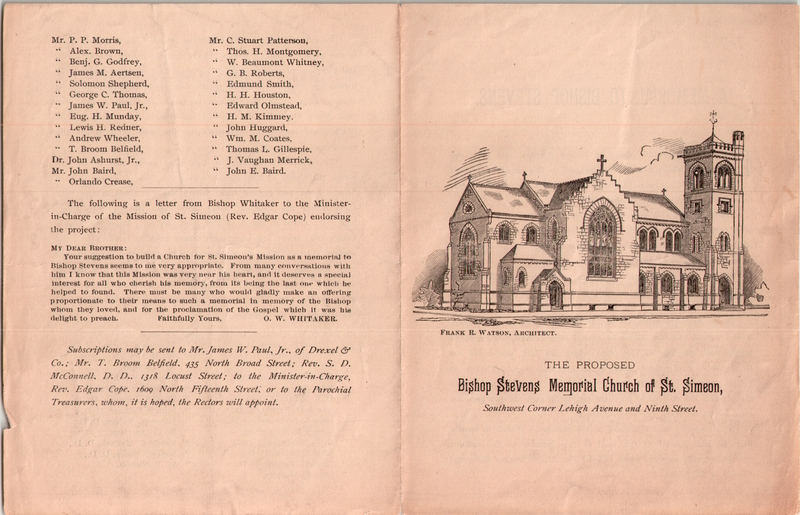 This entry was posted in Church of St. Simeon and tagged A. Augustus Marple, D. R. Goodwin, George H. Kinsolving, Isaac L. Nicholson, James De Wolf Perry, James S. Stone, John A. Childs, John Blake Falkner, John Bolton, John Kemper Murphy, Joseph D. Newlin, North Philadelphia, Ozi W. Whittaker, R. Bowden Shepherd, Robert A. Edwards, Robert C. Matlack, Robert Evans Dennison, Samuel David McConnell, Theodore S. Rumney, Thomas C. Yarnall, Thomas F. Davies, Thomas K. Conrad, Thomas L. Franklin, William Bacon Stevens, William F. Nichols, William H. Graff, William N. McVickar on July 12, 2017 by mjk38. 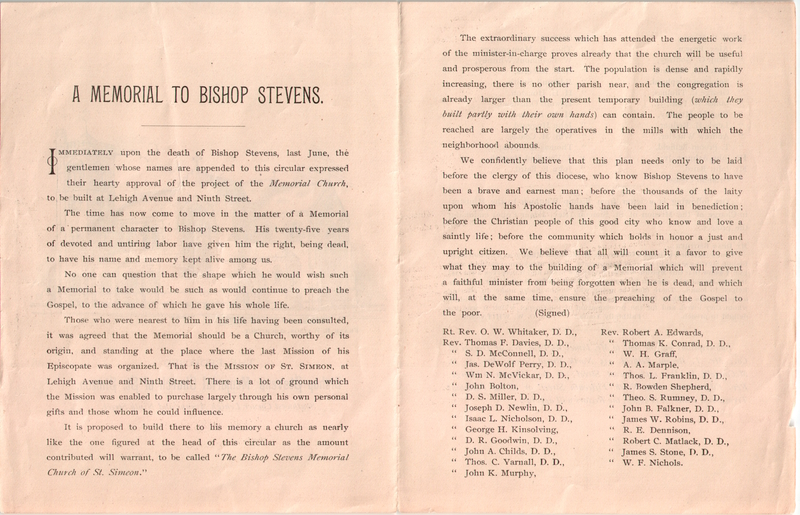 This entry was posted in Church of the Holy Redeemer (Richmond), Church of the Incarnation, Grace Church (Philadelphia), Grace Church and the Incarnation, St. George's Chapel (Venango), St. George's Church (Richmond), St. George's Church and Holy Redeemer (Richmond), St. Mary the Annunciation Church (Italian) and tagged Abel John Arkin, Arnold Harris Hord, Henry F. Kaufman, Henry W. Kaufman, James De Wolf Perry, John K. Shryock, John Totty, Norman Van Pelt Levis, Northeast Philadelphia, Port Richmond, R. Sherwood Van Atta, Richmond, Silvio G. Biagini, Venango Village on July 5, 2017 by mjk38. 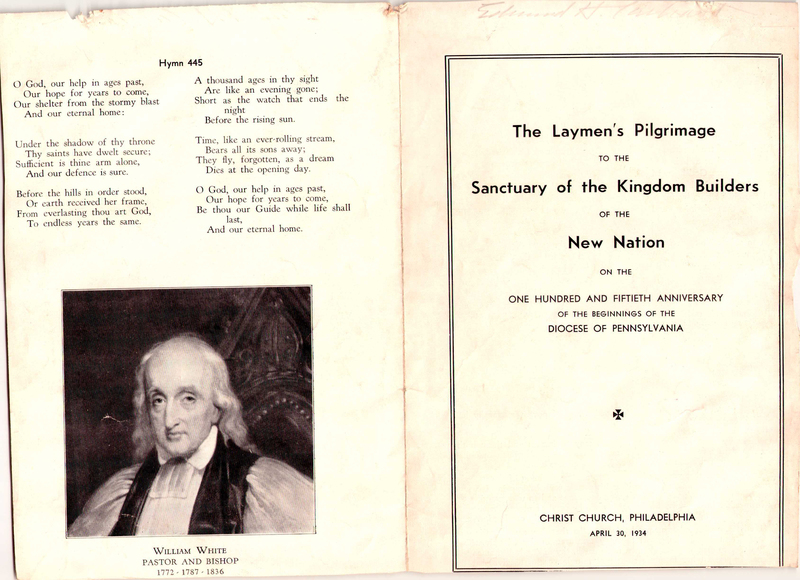 This entry was posted in St. Alban's Church (Olney), St. Luke's Church (Germantown) and tagged Anglo-Catholic Parishes, James De Wolf Perry, North Philadelphia, Olney, Philadelphia Times, Samuel Upjohn on May 8, 2016 by mjk38. 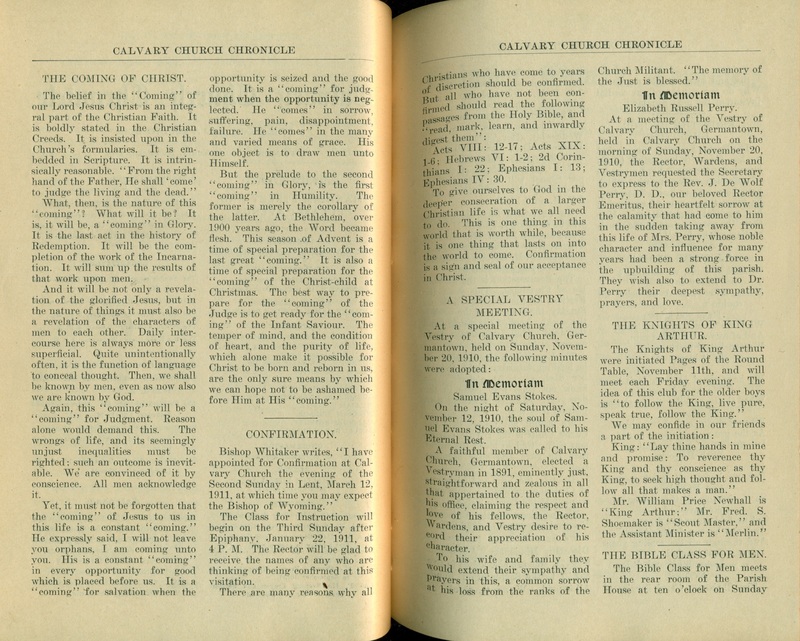 This entry was posted in Calvary Church (Germantown), Christ Church (Germantown), Church of St. John the Baptist (Germantown), Church of St. Martin-in-the-Fields (Chestnut Hill), Church of the Epiphany (Germantown), Grace Church (Mt. 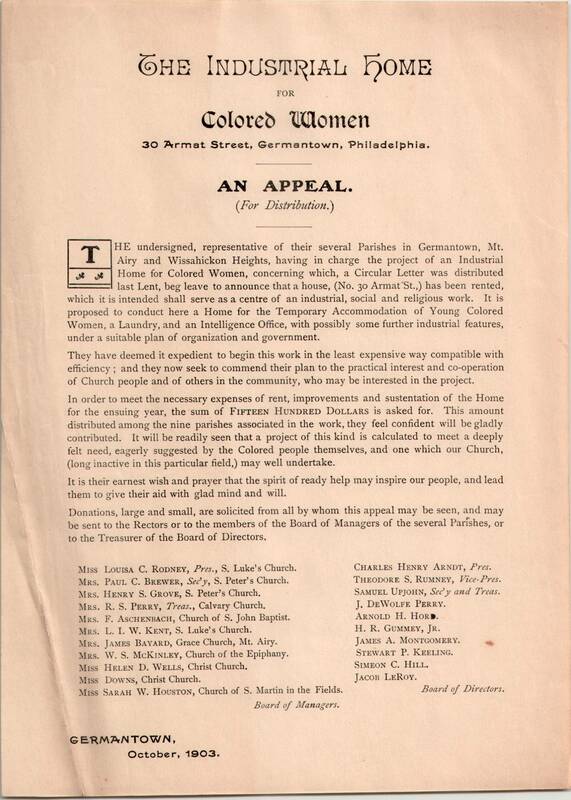 Airy), St. Luke's Church (Germantown), St. Paul's Church (Chestnut Hill) and tagged African-Americans, Arnold Harris Hord, Charles H. Arndt, Germantown, Henry Riley Gumney Jr., Jacob Le Roy, James A. Montgomery, James De Wolf Perry, Northwest Philadelphia, Samuel Upjohn, Theodore S. Rumney on April 11, 2016 by mjk38. 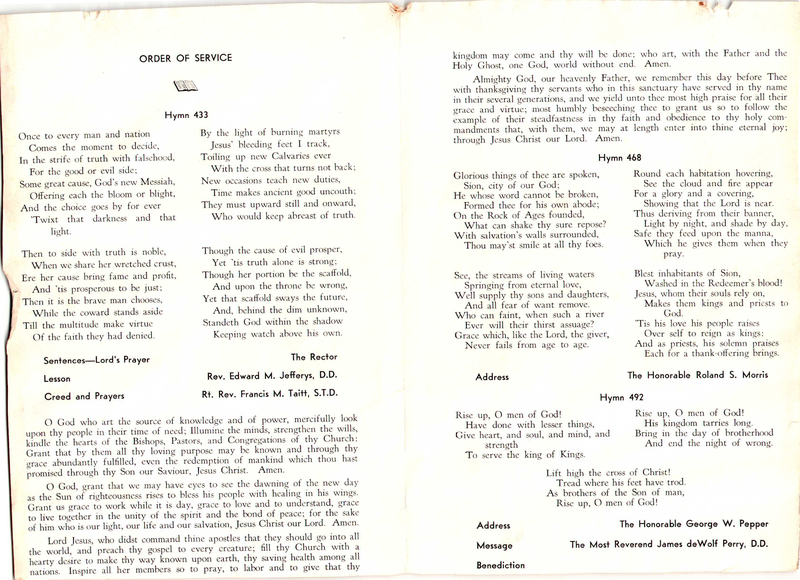 This entry was posted in Calvary Church (Germantown), Christ Church (Germantown), Church of St. John the Baptist (Germantown), Church of St. Martin-in-the-Fields (Chestnut Hill), Church of the Epiphany (Germantown), Grace Church (Mt. 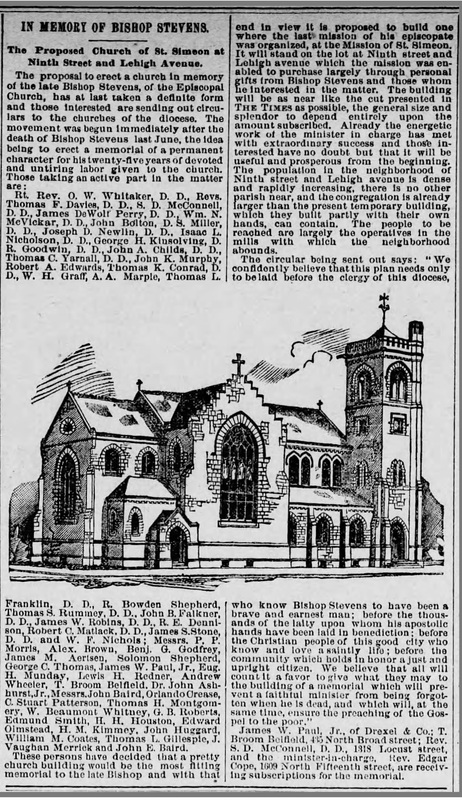 Airy), St. Luke's Church (Germantown), St. Peter's Church (Germantown) and tagged African-Americans, Arnold Harris Hord, Charles H. Arndt, Germantown, Henry Riley Gummey, James A. Montgomery, James De Wolf Perry, Northwest Philadelphia, Samuel Upjohn, Stewart P. Keeling, Theodore S. Rumney on March 18, 2016 by mjk38. 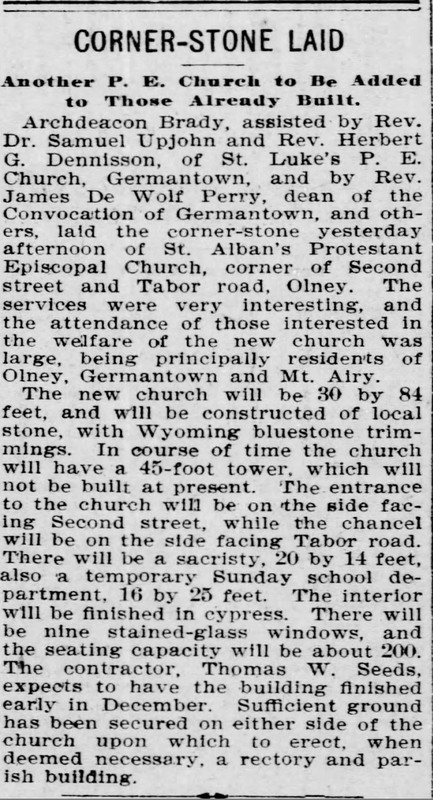 This entry was posted in St. Alban's Church (Olney), St. Luke's Church (Germantown) and tagged Anglo-Catholic Parishes, James De Wolf Perry, North Philadelphia, Olney, Philadelphia Inquirer, Samuel Upjohn on March 14, 2016 by mjk38. This entry was posted in Christ Church (Franklinville) and tagged Franklinville, James De Wolf Perry, North Philadelphia, Thomas J. Taylor on November 22, 2015 by mjk38. 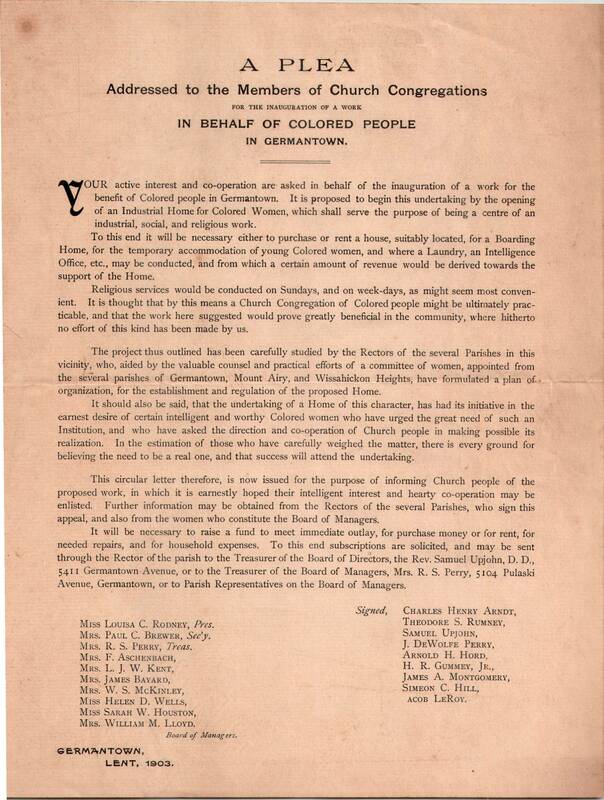 This entry was posted in Christ Church (Philadelphia), St. Mark's Church (Frankford) and tagged Center City, Edward Miller Jeffreys, Francis Marion Taitt, George Wharton Pepper, James De Wolf Perry, Old City, Roland S. Morris, William White on February 5, 2015 by mjk38.